Strawberries photo by Brian Prechtel, courtesy of USDA Agricultural Research Service Image Gallery: Fruits and Veggies. Strawberries (genus fragaria) are high in Vitamin C and A, and supply 8 percent of the recommended daily allowance for iron. 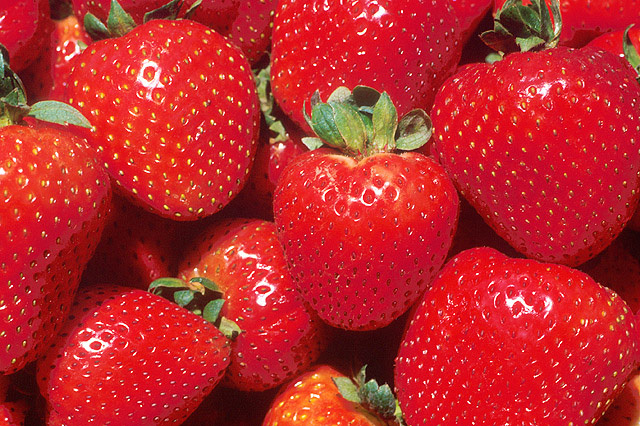 One cup of fragrant, delicious fresh strawberries has only 60 calories and zero grams of fat. Oklahoma also recognized an official state vegetable in 2007 (watermelon). 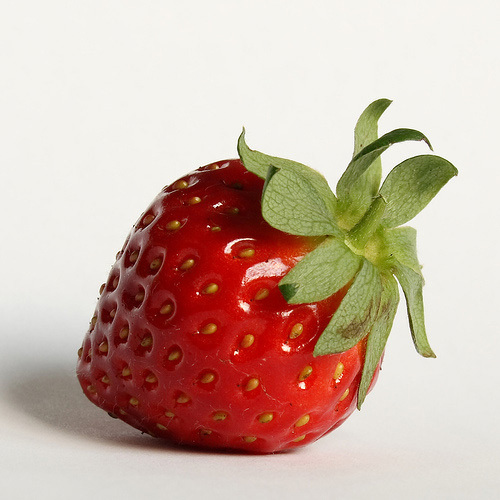 Strawberry; photo by Matthias Richwin on Flickr (noncommercial use permitted with attribution / no derivative works).